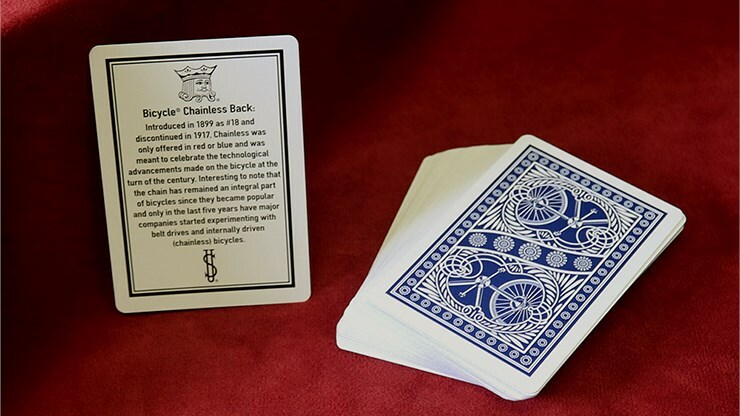 The back design, originally labeled as #18 introduced in 1899 and discontinued in 1917, was meant to celebrate the technological advancements made on the bicycle at the turn of the century. 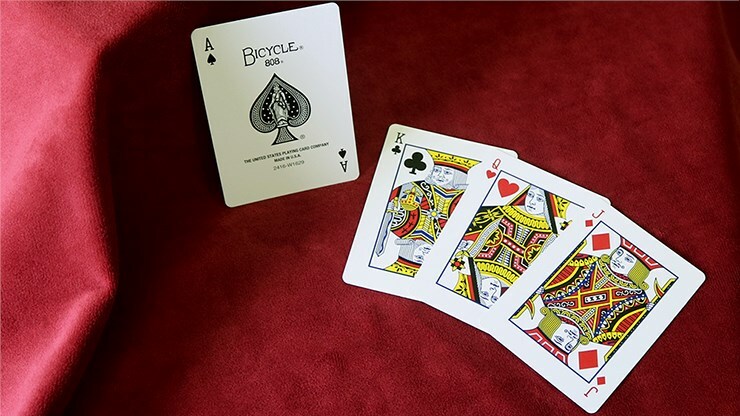 This deck is printed on premium Bicycle® brand cardstock with the brand's classic Air-Cushion™ finish for optimum performance. 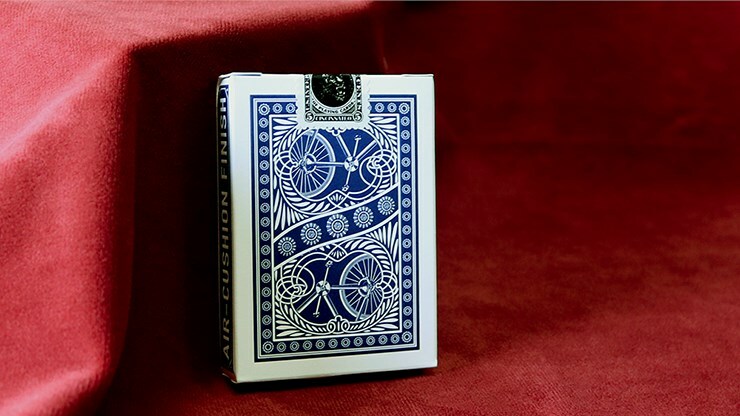 The tuck case design for this deck has been inspired by the back side of the first ever Bicycle® brand product packaging. 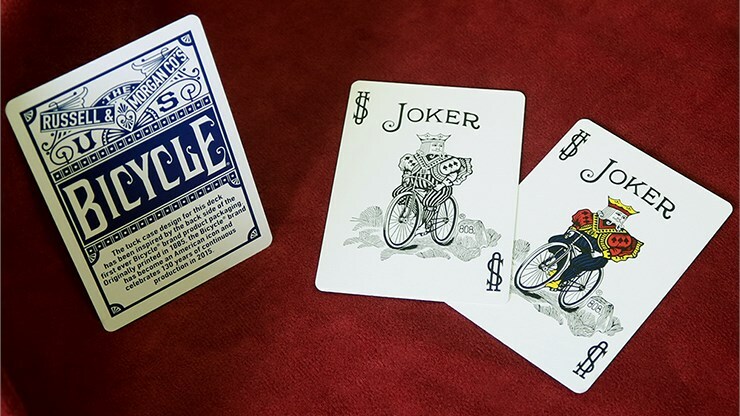 Originally printed in 1885, the Bicycle® brand has become an American icon and is celebrating 130 years of continuous production in 2015. 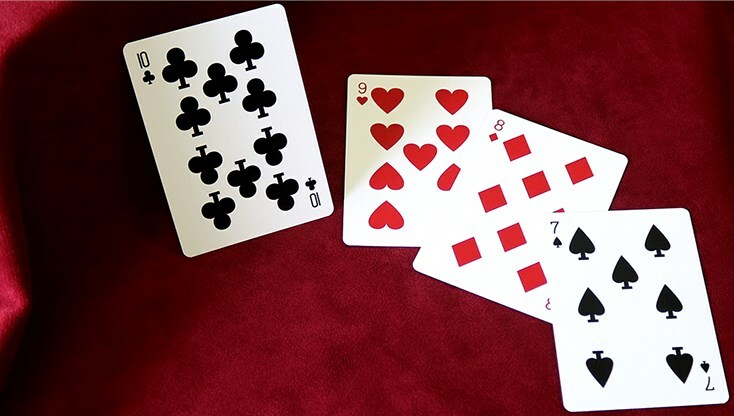 This deck features a vellum tuck stock and embossed tuck elements. 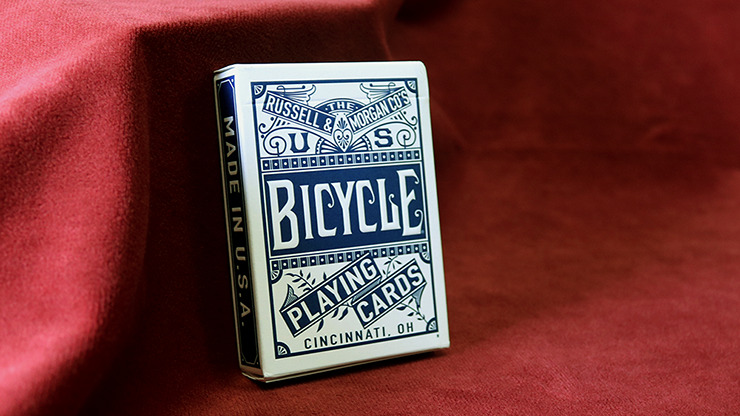 A unique tax stamp closure seal is featured on this deck, highlighting the beginning of The United States Playing Card Company history and the Russell, Morgan & Co. business.